This next recipe I decided to test for my challenge is actually an imitation of Sprinkles vanilla cupcakes. Sprinkles is a widely known bakery, and a celebrity favorite, even being named on Oprah Winfrey’s “Favorite Things” list. 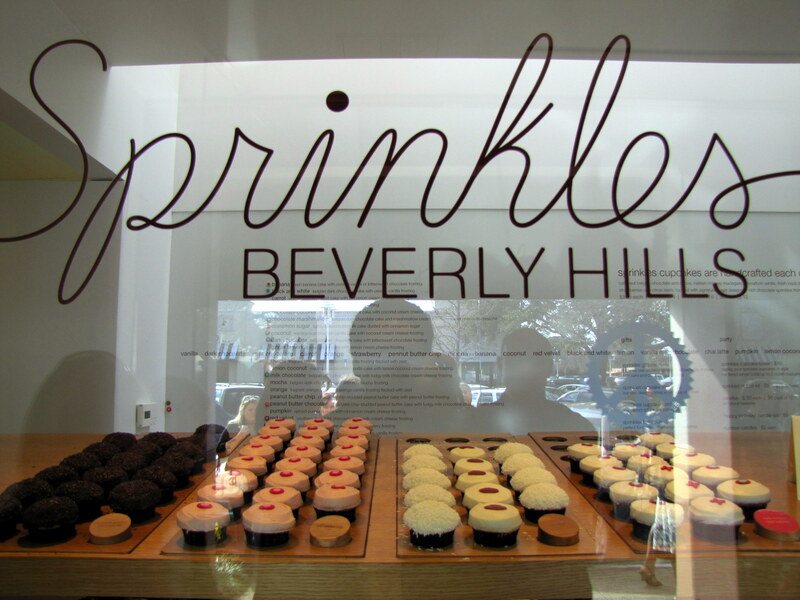 Sprinkles was actually the world’s first cupcake bakery when it was opened in Beverly Hills and now has locations all over the United States. They were slightly lighter in color and texture than the Magnolia ones. First taste? Amazing. Very buttery and rich tasting. My Main Taste Tester and I both really enjoyed them. He also commented that he felt he had been too generous scoring the Magnolia ones. He much preferred these. I shared the rest at work and got great feedback there as well. They were even better on day two, which is a plus. I did find that the Magnolia ones didn’t retain their moisture very long. The consensus? Great texture, flavor and moisture, but we still need more vanilla. Preheat the oven to 350°. Line 1 muffin tin with 12 cupcake liners. Cream butter and sugar in the bowl of an electric mixer fitted with the paddle attachment until light and fluffy. Add the egg and egg yolk one at a time, beating to combine after each addition. Add vanilla and sour cream, beating until just combined. Reduce the mixer speed to low and stir in the flour in a few additions. Remove the bowl from the mixer and stir the last bit of flour in with a spatula until just combined. Do not over mix. Scoop the batter into cupcake liners and bake for 14-18 minutes (see my note below) or until a toothpick inserted into the center comes out with a few clinging crumbs. 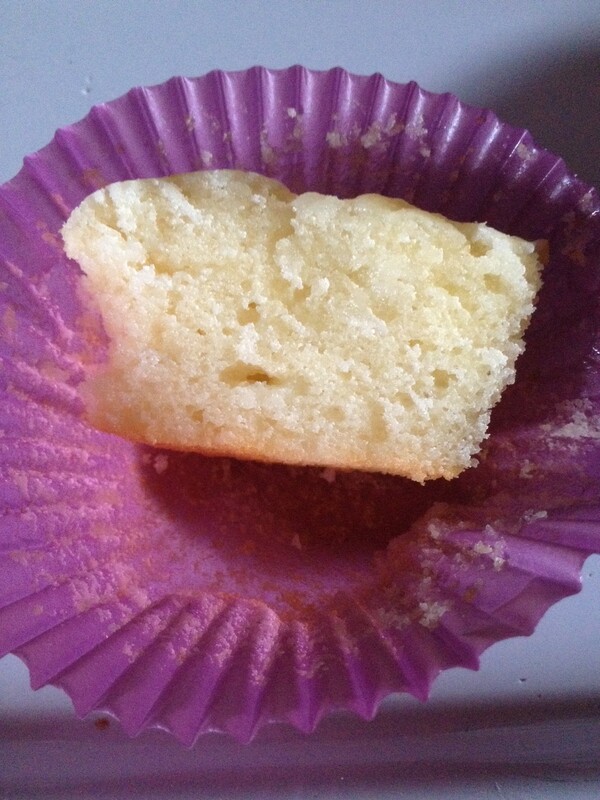 Allow to cool completely before icing. Note: My cupcakes took closer to 22 minutes to bake. Use your judgment. 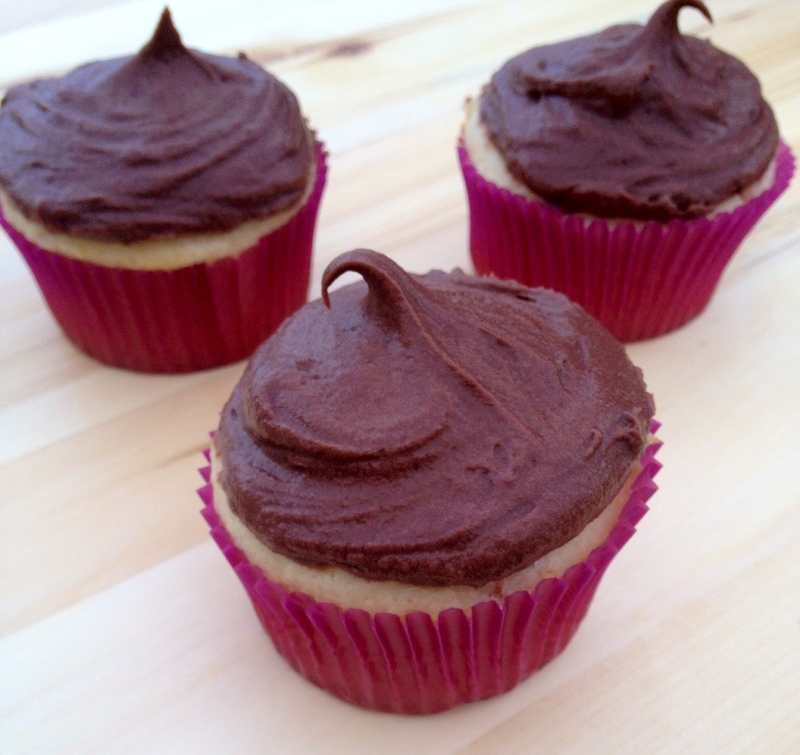 A vanilla cupcake recipe from one of my favorite cookbooks! Thanks for the link love! I’m glad you and the Main Taste Tester liked them! The recipe that I adapted had 2 teaspoons of almond extract which I thought really odd considering these were supposed to be vanilla cupcakes! I think next time I will add some vanilla bean paste to the batter to amp up the vanilla flavor even more, even though my husband and I LOVED them more than Sprinkles! Thank you for the inspiration! Such an awesome cupcake. Definitely feeling you on the vanilla bean paste, I think that’s exactly what they need, although these babies are hard to improve upon!